Here’s what you’ll need to create the platter above, but you can easily substitute other veggies. Prepare vegetables. Toss each (in a bowl, or Ziploc bag) with a bit of olive oil to coat lightly. Preheat grill to medium high. Working in batches, grill vegetables until tender and and lightly charred. Don't move the vegetables too much, otherwise you won't get those great grill marks. The onion slices will take the longest - about 9 minutes, peppers about 7 minutes, zucchini and squash about 5 minutes and asparagus, about 4. Place a perforated grill pan on the grill grate and let it heat up for about 2 minutes. Place mushrooms in pan and toss occasionally until they release moisture and begin to brown, about 5 minutes. Note: cooking times vary depending on your grill. Just pour yourself a beverage and keep a watchful eye! Arrange vegetables on platter and serve. Garnish with fresh basil, or other fresh herbs. Can be made 2-3 hours ahead. Cool slightly, cover loosely with plastic wrap and refrigerate. Bring to room temperature before serving. 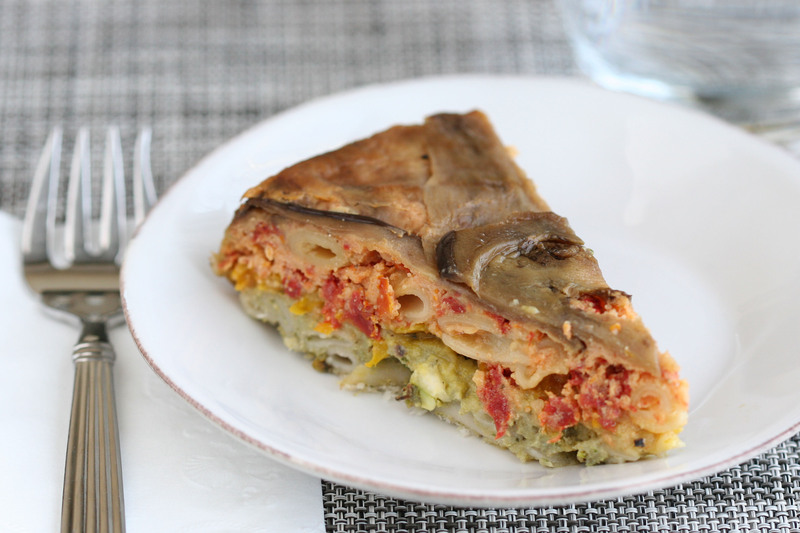 I promised 10 things you can do with these vegetables, but really, the list is endless. If you grill your veggies on the weekend, you’ll have lots leftover for weekday lunches or quick weeknight meals. Here are just a few ideas in addition to the platter, above. Pasta Primavera :: Stir chopped grilled veggies into your favorite cooked pasta and toss with a bit of olive oil, or purchased pesto. (Or for goodness sake, if you’re at the farmers’ market, grab a big bunch of basil and make your own!) Sprinkle with fresh grated parmesan. Fajitas :: Add grilled onions and peppers to grilled chicken or steak, wrap in a tortilla and top with sour cream, salsa and cilantro. Amped up Meatloaf :: Finely dice onion, zucchini and peppers, and mix with into your favorite meatloaf recipe. There was eggplant in the basket of veggies I brought home, but it didn’t make it onto the platter. Instead, the grilled eggplant (and a few of the peppers) went into a delicious sformato I posted awhile back. I freeze batches of the onions so that I always have some on hand for whatever recipe calls for them. The peppers freeze nicely too (though there will some liquid to drain when they thaw) and we use these for pizza toppings and in some of the cooked recipes, above. Looking for inspiration near you? 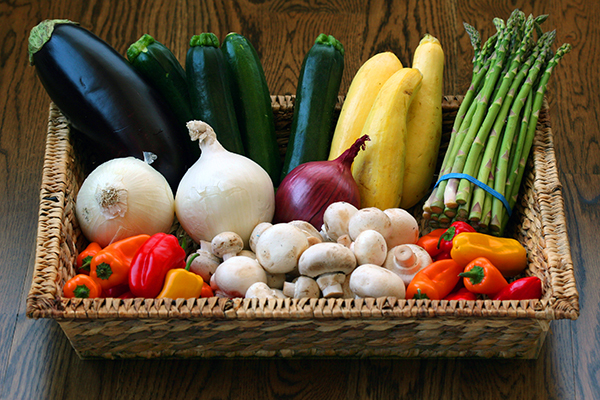 Find a farmers’ market through Local Harvest. 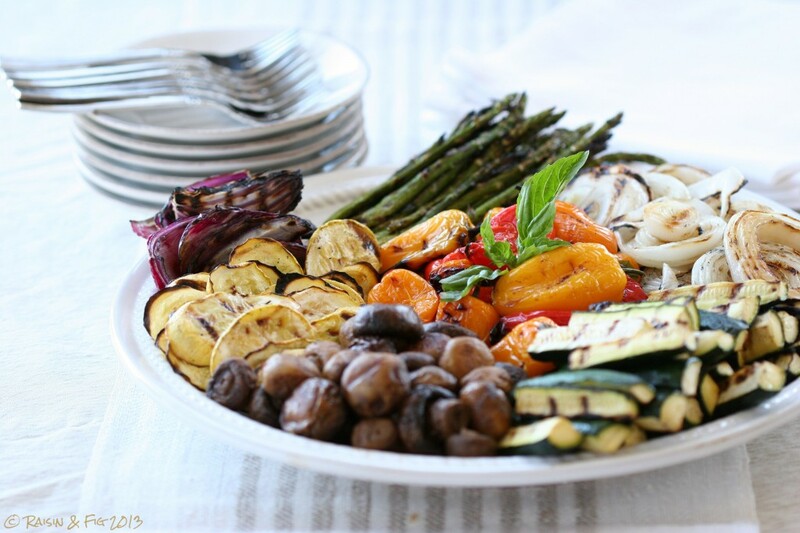 What would YOU add to the list of things to do with grilled veggies!? I’ve become a VEGGIE JUNKIE!!!!!! LOVE!!!!!! thank you! i was searching for grilled vegi recipes yesterday. perfect timing! Chuck & Lisa – let me know other ways you use your grilled veggies… I think the list is endless! The grilled veggies post is wonderful — as are the additional ideas! I’ve kept and re-read and re-listened to the Placido Domingo post. Heavenly! Sue, thanks for your enthusiasm and encouragement!